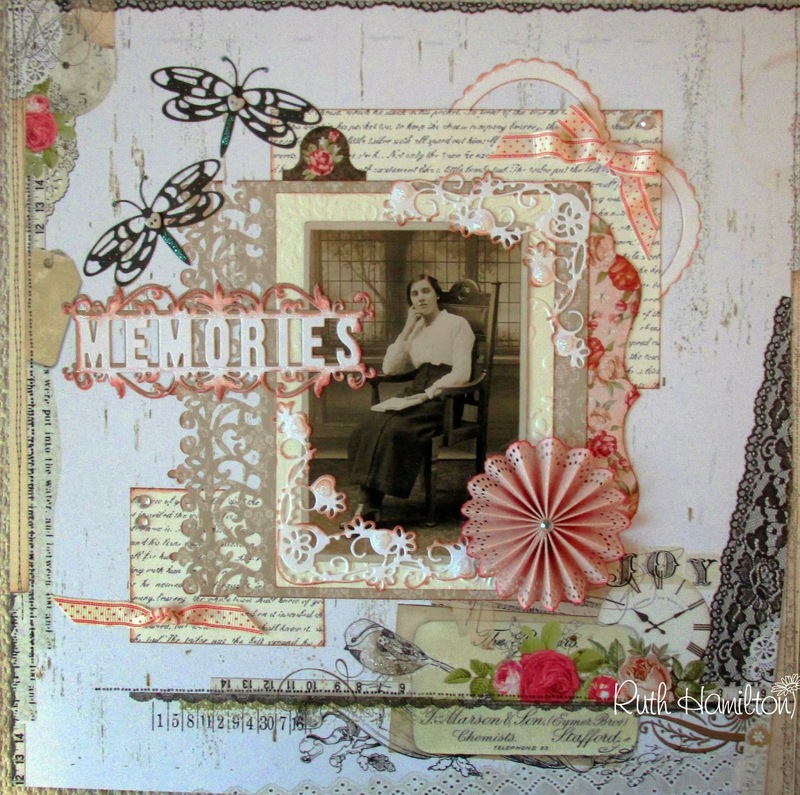 I have been doing some scrapbooking today - although I have to say that I don't know who the lady in the photo is! I was given some old photos many years ago by a friend and just came across them when I was clearing out cupboards this week and liked the look of this one! First of all, the 12 x 12 paper is "Pacato" from the Lyric Collection by Prima and I've added some other papers which I have had for a while. I've used several different dies and punches by Tonic Studios and matted the photo onto a piece of cream card which I embossed with the Tonic Victoria A4 folder. I have also added tiny heart buttons and dotty ribbon from "My Little Shop, Cambridge"
This is the Intrica Regal Border punch along the edge of the patterned paper. I used two of the heart dies from the Someone Special die set along with the larger flourish die from the same set on this corner. ..and the Dotty Border punch for the rosette.